Experienced Plumbing and HVAC Technicians On Call 24/7. 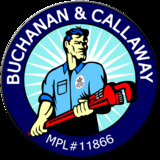 Buchanan & Callaway LLC services towns in all of Northern New Jersey. We take great pride in our professional technicians and their ability to provide a clean, neat, hassle-free experience for you, by handling all kinds of plumbing, heating and drain problems.